Tired of renting but not sure if you can afford to purchase a home? 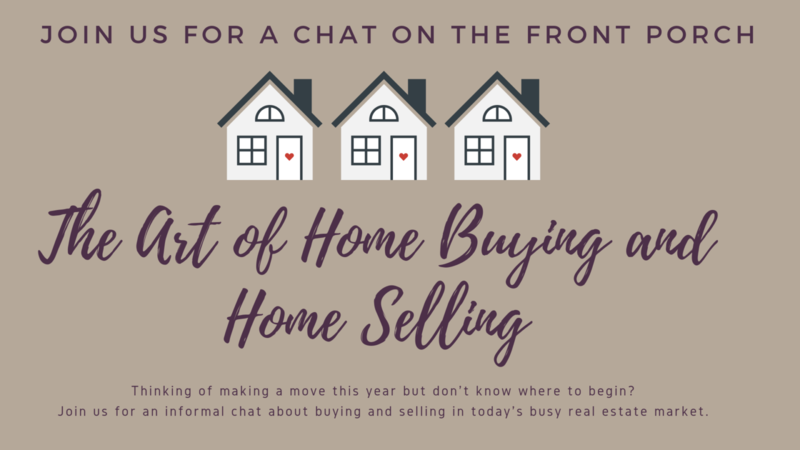 Thinking of selling your home but not sure how to best prepare it for the market? FRONT PORCH REALTY is having a series of “gathering info” meetings once a month just for you! No pressure environment for you to ask a few questions and get pointed in the right direction. Today’s market is busy and can be somewhat intimidating. We LIVE, EAT, and PLAY in our LOCAL market and we have the expertise to help you.